There are several updates to the built-in universal apps and one of the neat ones I discovered is making weather conditions display on the Calendar app. The Windows 10 November Update Version 1511 Build 10586 includes several small improvements that add up to an overall better Windows experience. There are several updates and improvements to the built-in universal apps, and one of the neat ones I discovered is making weather conditions display on the Calendar app. The first thing you need to do is ensure that you have the latest updates for the apps. 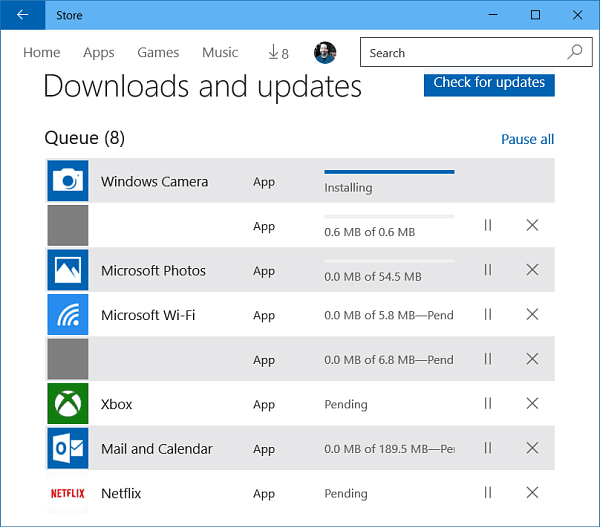 If you have apps set to update automatically, you should be good to go. If you want to be sure, you can manually update them. To do that launch the Store, click your profile icon, Downloads and updates and click Check for updates. To make the weather show up, head to Settings > Privacy > Location. 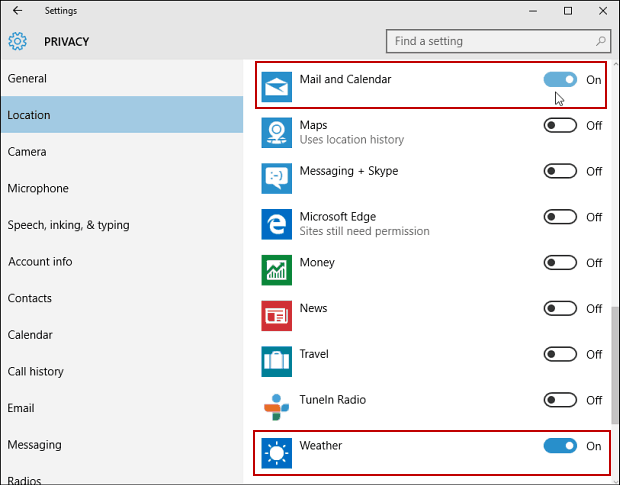 Then scroll down to the Choose apps that can use your location section in the right pane and turn on Mail and Calendar and MSN Weather. The weather won’t show up right away, and you’ll need to restart your computer for the changes to take effect. When I set this up, it took a couple of days for the weather icons to show up. The weather icons will give you a general idea of what the forecast is. For instance, sunny, partly cloudy, raining or snowing and the low and high temperature of the day. To get detailed info, click the icon and MSN weather will open up in your default browser for more details. 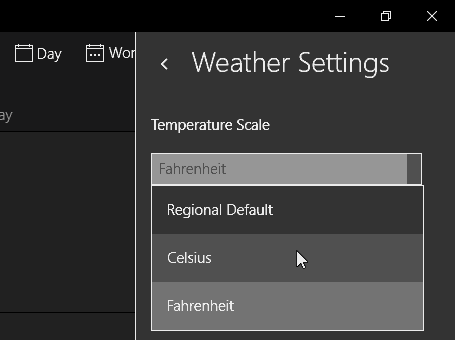 It’s also possible to set whether it displays temps in either Fahrenheit, Celsius, or the Regional Default by going to Options > Weather Settings and selecting the one you want. If you’re using the Outlook desktop client in Windows 10 or previous version, you can set it up to do this, too. 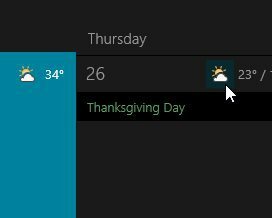 Read: How to Add and Remove Weather Locations in Outlook’s Calendar.